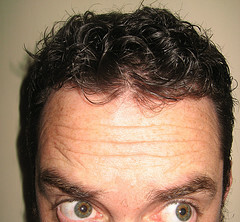 Are there any problems that may arise from leaving a hair restoration surgery incomplete? Well, unfortunately, there is a major issue that may present itself under such situations. Leaving a hair restoration surgery incomplete may result in unnatural hair appearance, a condition which may only be corrected by undergoing another surgical procedure. While this is a relatively safe procedure, especially when undertaken by a highly qualified hair restoration surgeon, there is a rare chance that patients will experience some degree of complications after the procedure. Since the surgery will leave behind wounds, there is a slim possibility that a patient will experience excessive bleeding after the operation, especially if the patient drinks alcohol, smokes or does recreational drugs. For people who scar easily, there is also the possibility of scarring. However, there is a much bigger problem that may arise from a hair restoration procedure. There is a possibility that you will continue to lose your hair even after undergoing surgery. When this happens, the area where you received hair transplants may look unnatural. What do you do in this situation? For most people, having another hair transplant surgery is the only viable option. Given this condition, you should be prepared to do multiple hair transplants should the need for it arise. Do your research. It pays to do your research before settling for a particular hair restoration professional. Don’t go for just another self-proclaimed hair restoration expert. Choose one who is certified by the American Board of Hair Restoration Surgery and the International Society of Hair Restoration Surgery as well. Ask to see some samples of their work. Highly qualified hair restoration surgeons deliver excellent results so they will surely be proud to show you some samples of their work. Ask around. In addition to the point mentioned earlier, it would be great if you can ask previous patients on how their treatment went. It will show you a more realistic scenario of what you can expect to see after the procedure. To get the most knowledgeable hair transplant specialist in the country, schedule a consultation with Dr. Mark DiStefano of the DiStefano Hair Restoration Clinic. He can be reached through his contact page.